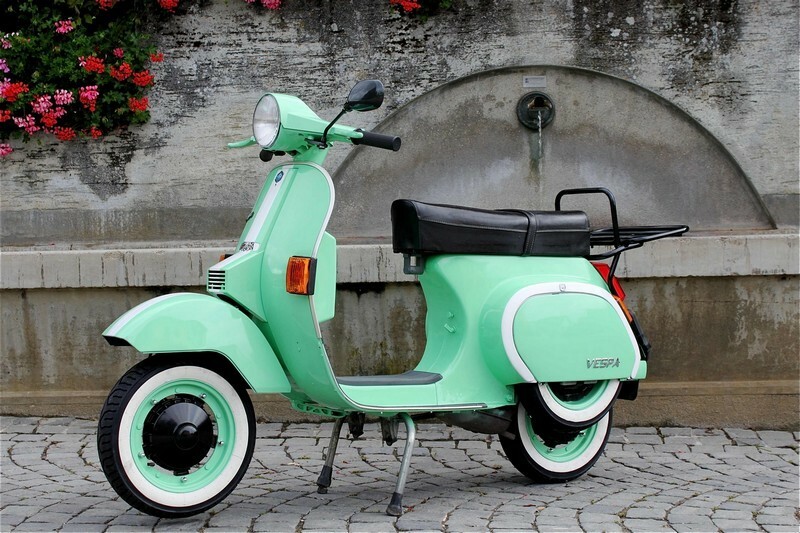 So, what are your options if you’re a 16 year old these days, and you’ve got the good taste to want a classic scooter? With even ‘standard’ Lambretta models like LI’s going for premium prices, and the more sought after models such as TV’s and SX’s going for silly money, there’s no easy answer. Or maybe there is. Maybe it’s the unloved, ‘ugly ducking’ of the Lambretta family… the J range. 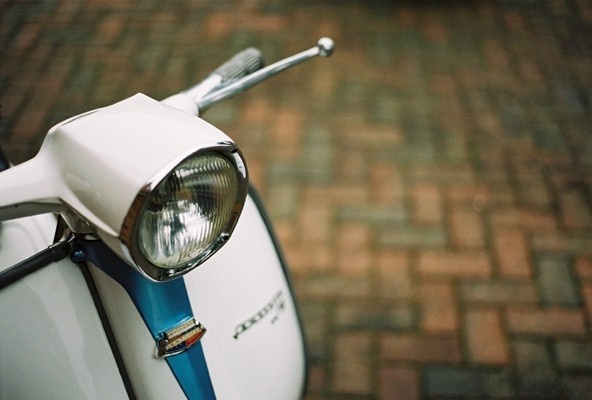 Developed in the mid sixties as a smaller, lighter and cheaper Lambretta, (let’s be honest here – it was a scooter for girls) the J range lacked the power and frankly the good looks, of it’s larger siblings. Despite the best interests of the Innocenti marketing machine, including commissioning the services of one Ms Shrimpton – the J range failed to take off, in Britain at least. So. 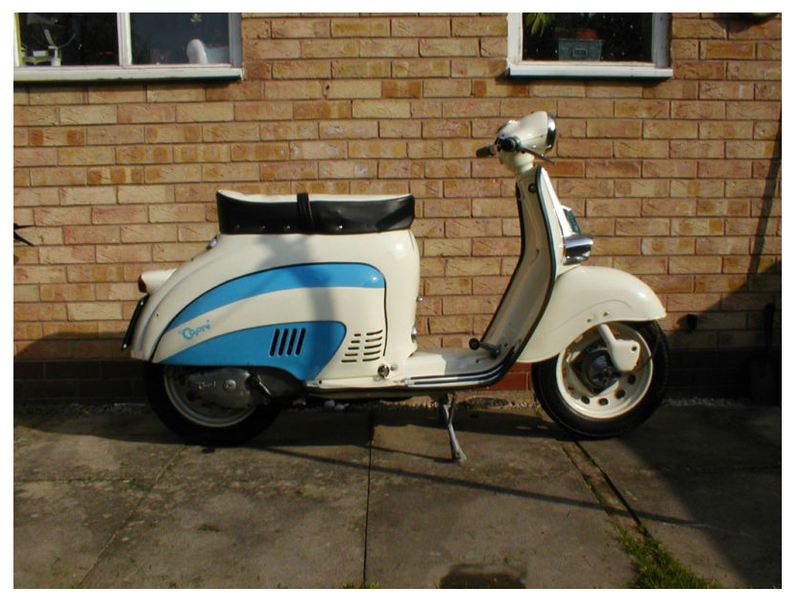 The J range has been traditionally unpopular with the British Lambretta fan. To be honest, it still is. The good news though, is it IS a proper Lambretta, and it’s very unpopularity means you can pick ’em up cheap. In the past getting hold of parts may have been a bit of a problem, but it’s much less so these days, the internet making it much easier to track down most bits. 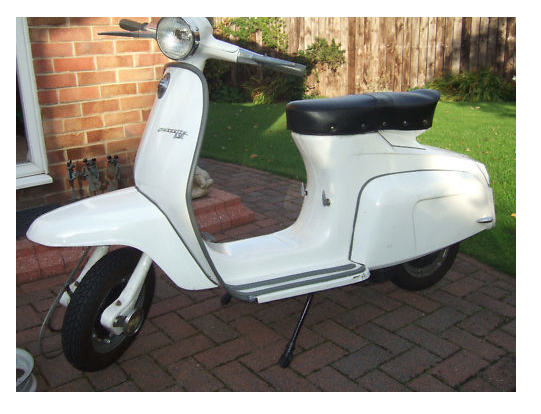 So how cheap is this “entry level” Lambretta? Well, you can pick up very nicely restored examples for under a grand, sometimes well under. And you could pick up a good runner that may be a little tatty for half that. The J range came in a variety of engine sizes 50cc – 100cc (The “Cento”) and 125 (the J125, Starstream, and Super Starstream; depending on date of manufacture and trim). Personally, I think bigger is better, and a Starstream would probably do 55mph… not going to win you any land speed records, but fast enough for modern A roads. So with bargain basement prices (for a Lambretta), maybe the J ranges time has finally come. In fact their looks are starting to grow on me. Slightly. 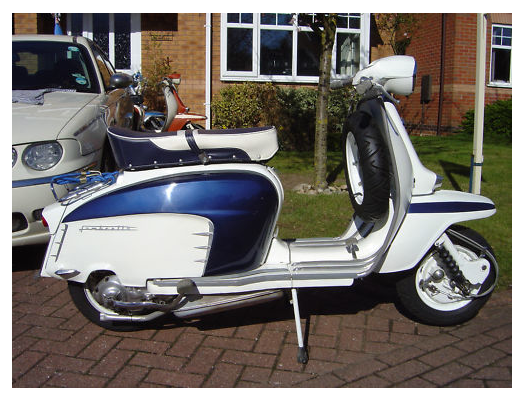 The other Lambretta option you may wish to consider is the Luna range… Lui, Vega and Cometa respectively. I LOVE their ahead-of-their-time space age looks, but I’ll admit they are even farther in looks from the class Lambretta shape than even the J -Range. So the Luna range is going to be a whole different post. The “V” word. It’s got to be mentioned. 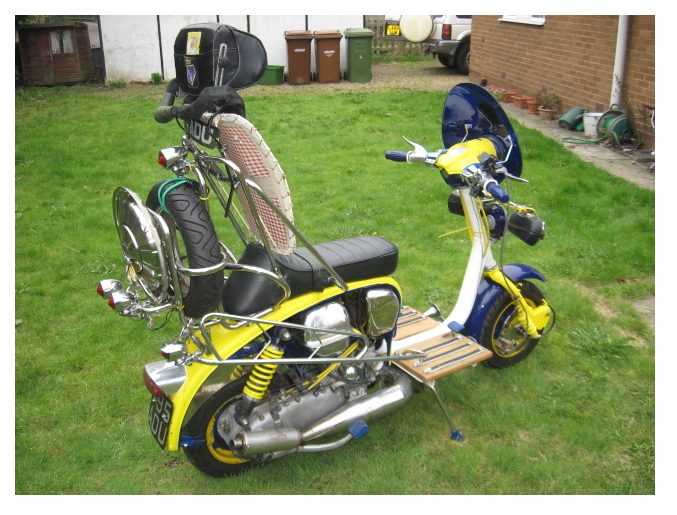 If you want a classic scoot and you can’t stretch to a Lambretta, a Vespa is clearly an option. 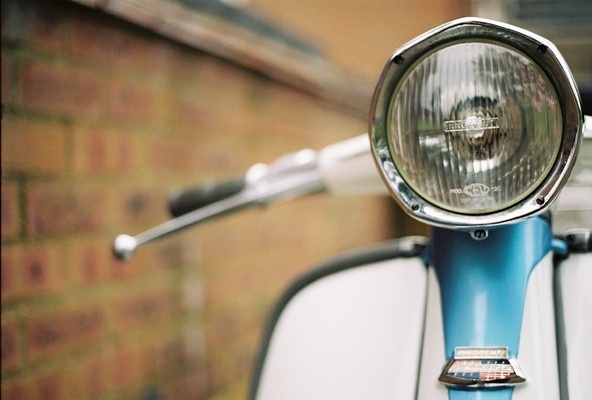 Who knows, you might strike it lucky and find a classic smallframe Vespa for not too much money. 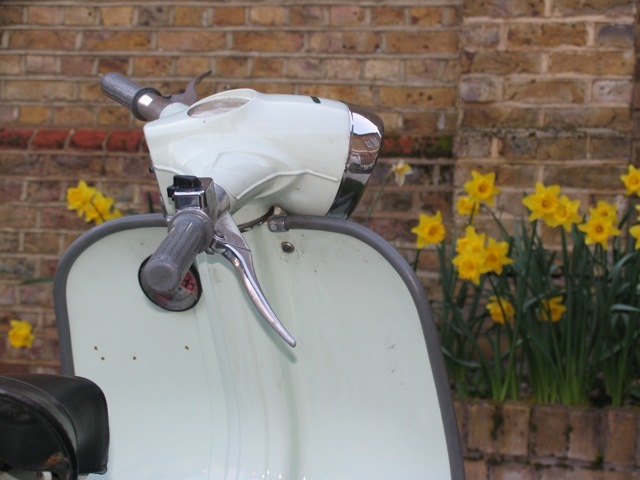 The ones to look for (probably, I know naff all about Vespa’s really) are 50 Specials and Primavera’s. These models are however getting more and more desirable and hence expensive. 80’s models such as the T5, PK’s and PX’s, once derided by Vespa purists are now regarded as classics in their own right – although you can still find half decent examples for the £500 – £900 mark. And they are very rideable scooters on todays roads. Apparently. While both 80’s Vespa’s and J range Lambretta’s are both good buys, there is possibly a third option. Innocenti (Lambretta) and Piaggio (Vespa) were the best known, and most succsessful makers of scooters, but they were far from the only game in town. A marque that I’ve always admired is the Agrati Capri… A scooter that in my ever so humble opinion is much prettier than a J range, and in fact “up there” with the best of Lambretta. They come up regularly on the likes of eBay, but be a bit careful that all the ‘bits” are there, as spares can be tricky to source. So, where do you look for when buying your first classic scooter? I’ll cover that in part deux… coming up soon. If you disagree with anything in this post, or just have some knowledge to share – great – I’d love your contributions in the comments section. Go on! Photo credit: Pictures nicked off eBay. Liking the look of this new design, coming soon from Heritage Helmets. Check out there full range of Helmets, specially designed to compliment your classic scooter here. 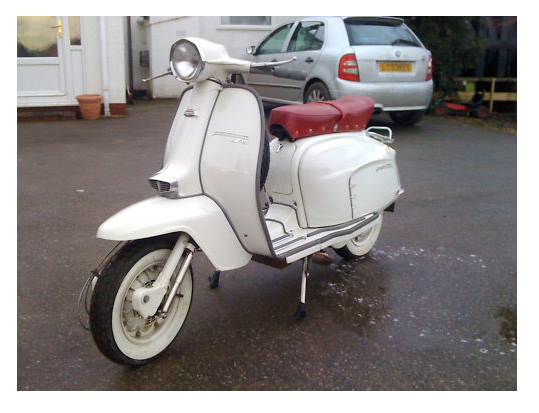 Firstly gang, don’t worry… this is Lambretta relevant too. These days, with digital cameras available to all at bargain basement prices, anybody can take a decent photograph. But there’s a difference between a decent photograph, and a GOOD photograph. And if you’re scooter is your pride and joy, doesn’t it deserve a good photograph? Paul Hart takes fantastic photographs of, well, lots of things, but he tends to focus on the things he loves… classic cars, motorbikes, and yes, you guessed, scooters. 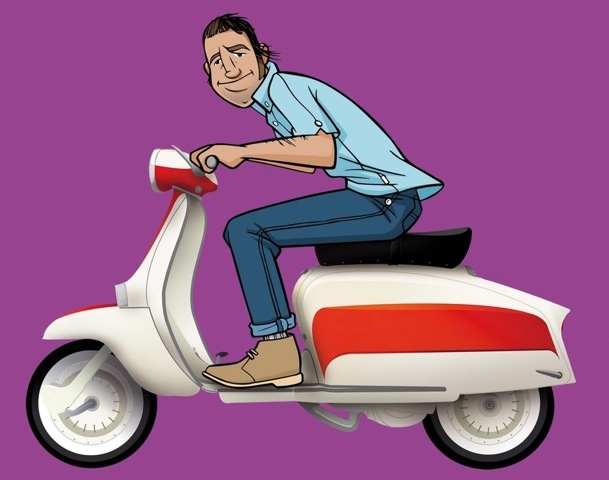 Paul rides a classic Vespa himself… a 1969 Sprint Veloce. 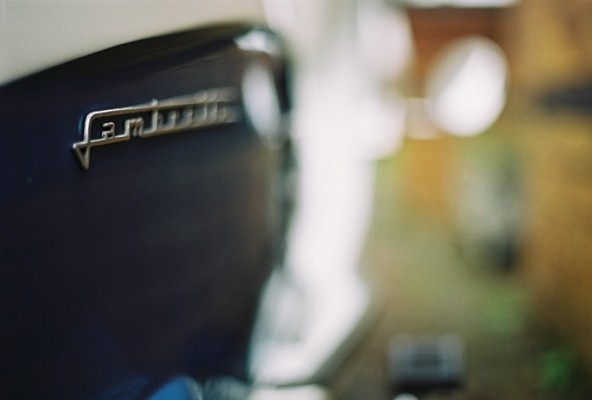 In this days of digital ubiquitously, he’s sticking to good old 35mm film, shot through a classic Olympus SLR camera. I think the results speak for themselves. Prices start from £24 for an A5 print, and £150 for a standard photoshoot, which seems pretty reasonable to me. If you’ve had any wedding photography done, you’ll probably agree with me. 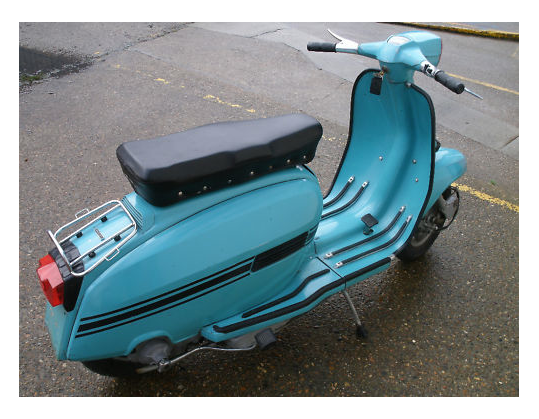 And another one in blue and white… currently at £3,700. 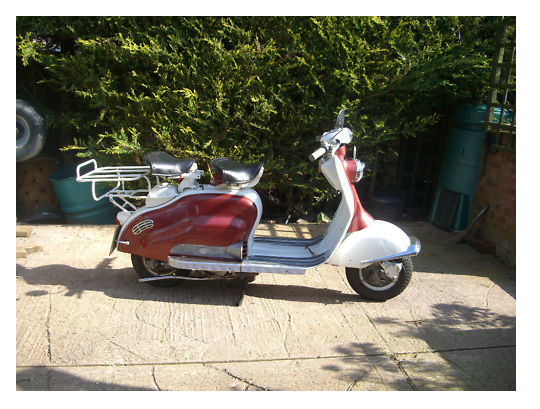 Going back in time slightly further, an electric start LD 150… starting at £1,800. 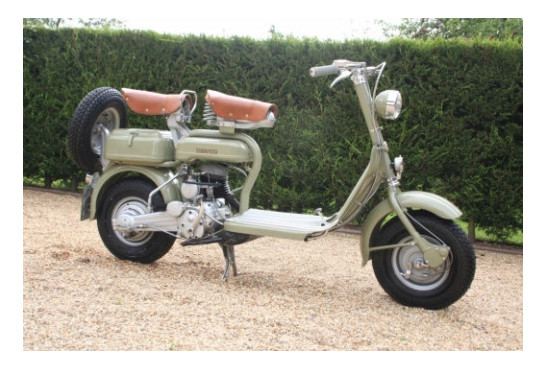 and right back… to almost the birth of the Lambretta, a Model D… these don’t come up too often… classified ad price £4,7500. A bit of a disclaimer… I don’t know any of these scooters – or sellers, I’m not making a penny from these, and I can’t vouch for the originality, legality, performance or anything else about these scoots. They just look good to me. I’m going to write a post on the best places to buy a scooter, other than eBay, so watch this space. And if you’re thinking of buying a Lambretta, it’s definitely worth checking out the buyers guide on the Lambretta Cub of Great Britain’s website. 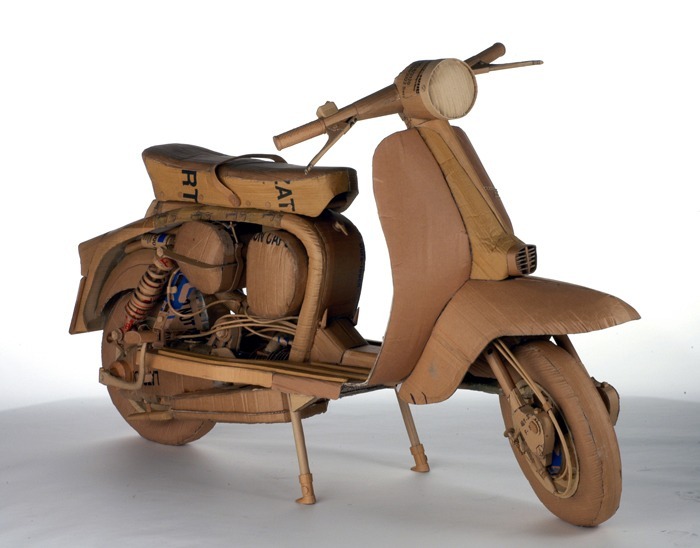 The Lambretta is back (well… sort of). 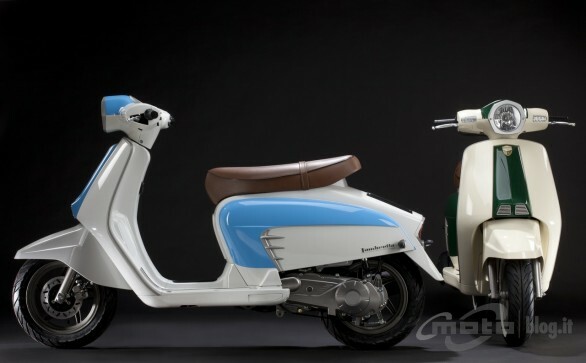 New Lambretta from Motom. 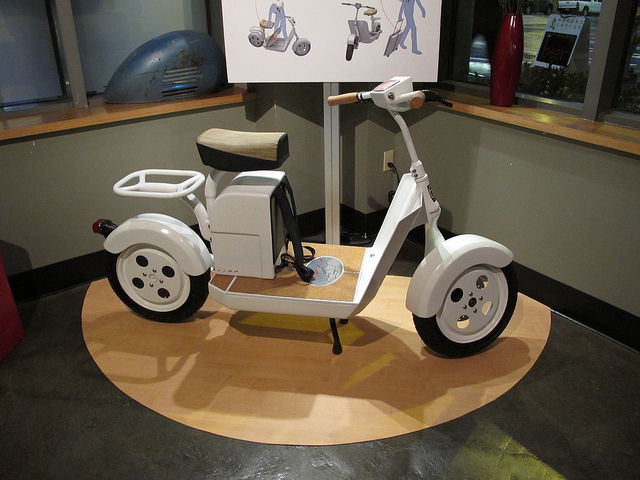 FIDO Electric Scooter – Remind you of anything? 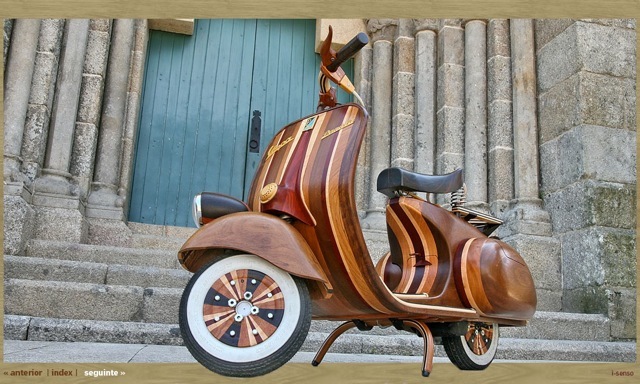 A couple of stunning wooden Vespa’s: Here, and here.